SANTA CRUZ LA LAGUNA IS A RURAL MUNICIPALITY IN THE WESTERN HIGHLANDS OF GUATEMALA, ON THE SHORES OF BEAUTIFUL LAKE ATITLAN. 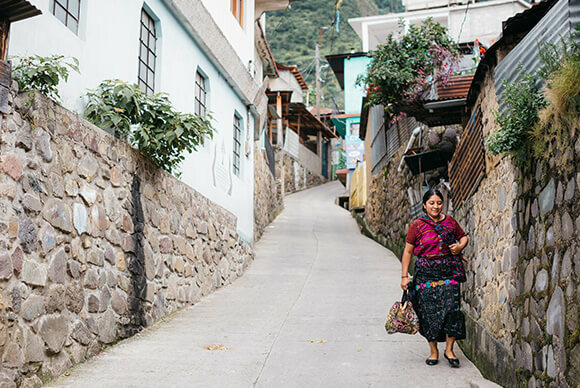 Perched on the steep slopes of the volcanic crater forming Lake Atitlán, many of the Santa Cruz communities can only be accessed by boat or, with difficulty, by rudimentary roads. Santa Cruz’s four lower communities of Tzununa, Tzanjomel, Jaibalito and Santa Cruz village are close to Lake Atitlán’s shore. 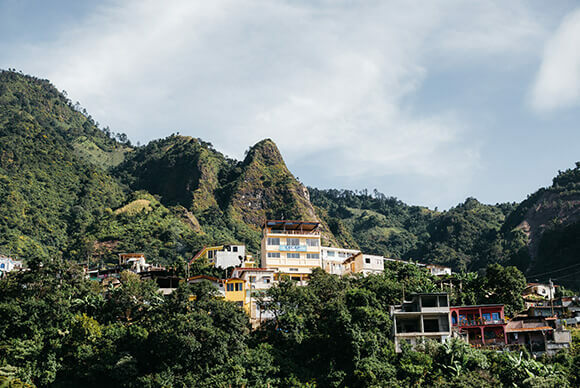 The three upper communities of Chuitzanchaj, Pajomel and Laguna Seca are a two hour hike straight up the mountainside from the lake or accessed by basic roads on the far side of the ridge. 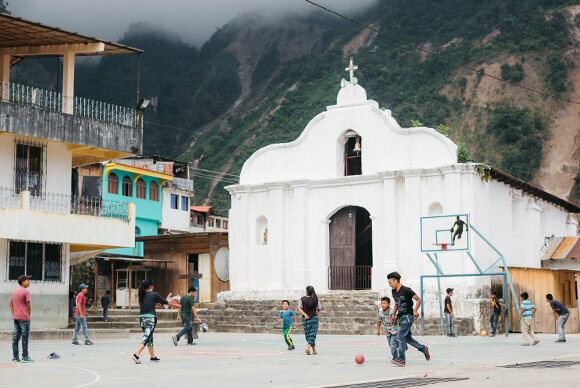 Due to this difficult terrain, Santa Cruz was largely cut off from education and economic opportunities available in larger population centers. 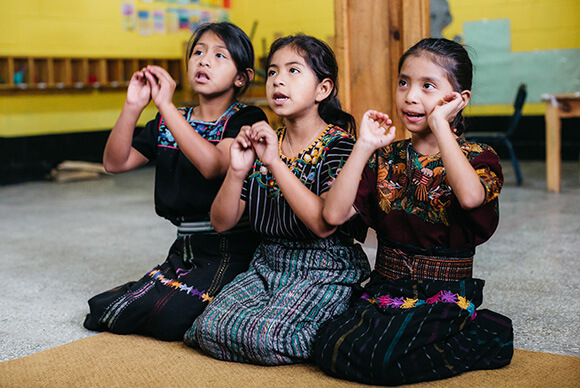 The 9,041 indigenous Maya of Santa Cruz are part of the Kaq’chikel ethnic and linguistic group, one of 27 across Guatemala. The strong cultural heritage of Santa Cruz is always on display. 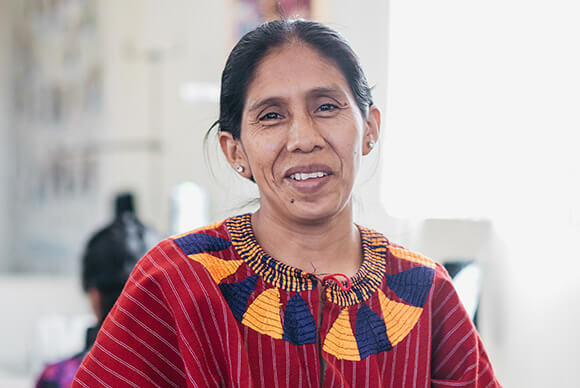 Women wear Santa Cruz’s traditional red “huipil” (woven blouse) adorned with blue and yellow triangles symbolizing the volcanoes surrounding Lake Atitlán. The strong sense of family and community is ever-present in Santa Cruz and exemplified by communal meals and dishes, bi-weekly family “temascals” (adobe mud-brick saunas), and public announcements boomed over a megaphone on top of the town hall. Historically a predominantly agricultural community, Santa Cruz faced challenges expanding its economy due to the rugged terrain and isolated location. 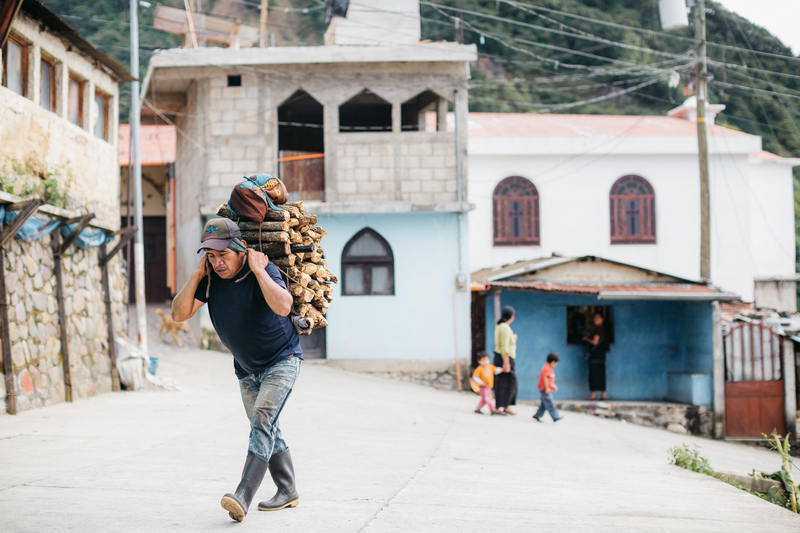 Unlike other Guatemalan communities, this isolation, together with a strong sense of community, has limited the outflow of young men seeking work outside the community. 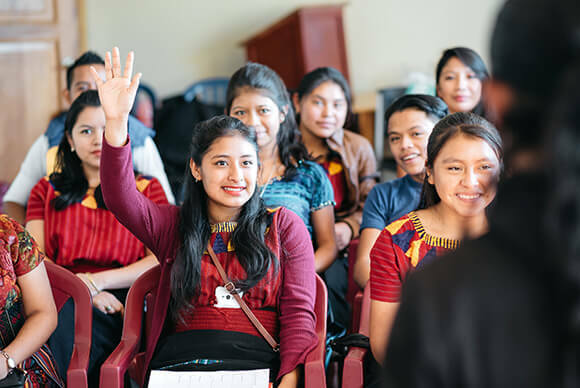 In addition to occasional manual labor and selling handicrafts, tourism to Lake Atitlán has created work opportunities in local hotels, restaurants and expat homes. Despite this growth, the Santa Cruz community continues to suffer from high unemployment, low wages and wide gender disparities. Amigos invests in the local economy by developing small businesses and creating professional opportunities for young Cruceños. Only a generation ago, dropping out of primary school after only a year or two was the norm, particularly for young girls. School facilities lacked supplies and qualified teachers. The vast majority of Santa Cruceños could only dream of finishing middle school, let alone high school. Now, Santa Cruz has four middle schools. Many young cruceños and cruceñas are finishing middle school and more and more are going on to high school, some even to university. While educational attainment is on the rise, classes are cancelled up to 35% of the time, teachers are often underqualified, and school resources are stretched thin. Improving the quality of local schools is a constant challenge and key to creating positive change for Santa Cruz youth.